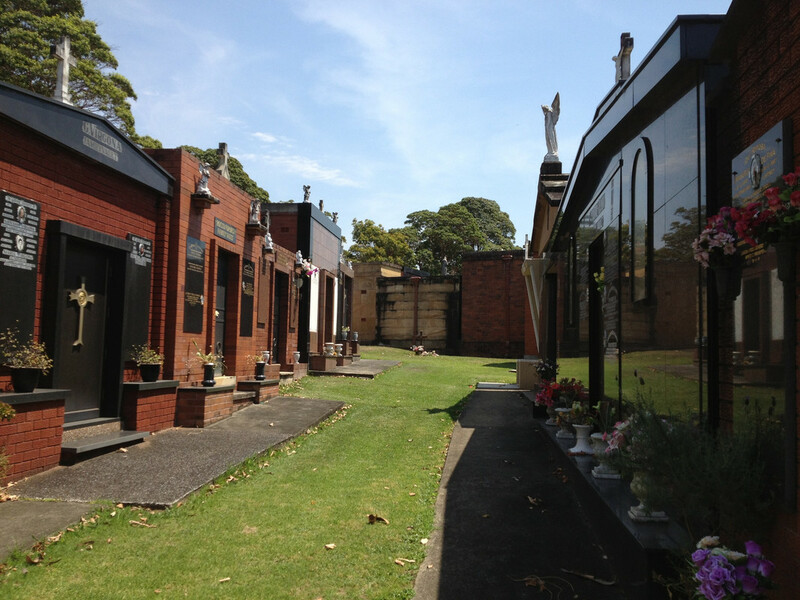 Macquarie Park Cemetery & Crematorium (MCP) is a very interesting place, at least from my perspective. It is a great example of modernisation in society and such a rich place for study. But it is also a nice place to just visit casually. MCP has gone out of its way to make the place friendly. 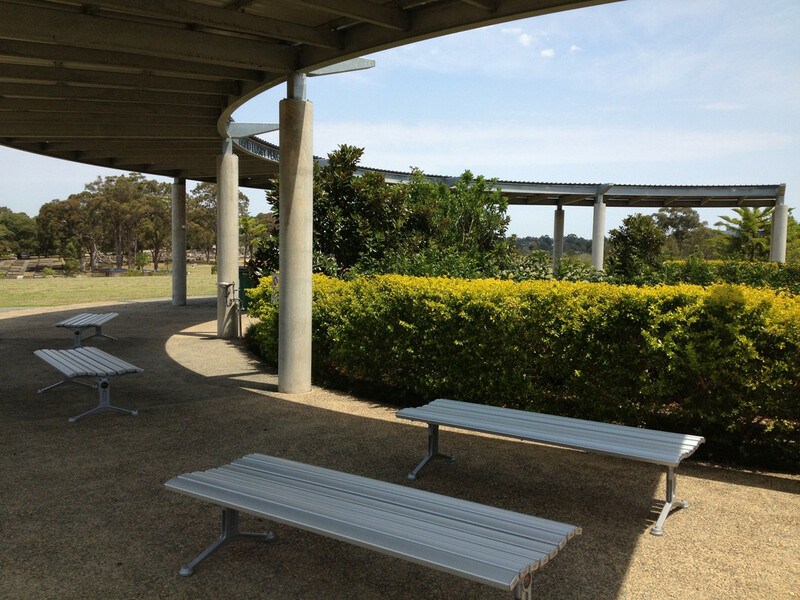 From good staff to good grounds, this is a good place to have a picnic or explore for the day. For more information about MCP you can read my inside look here. 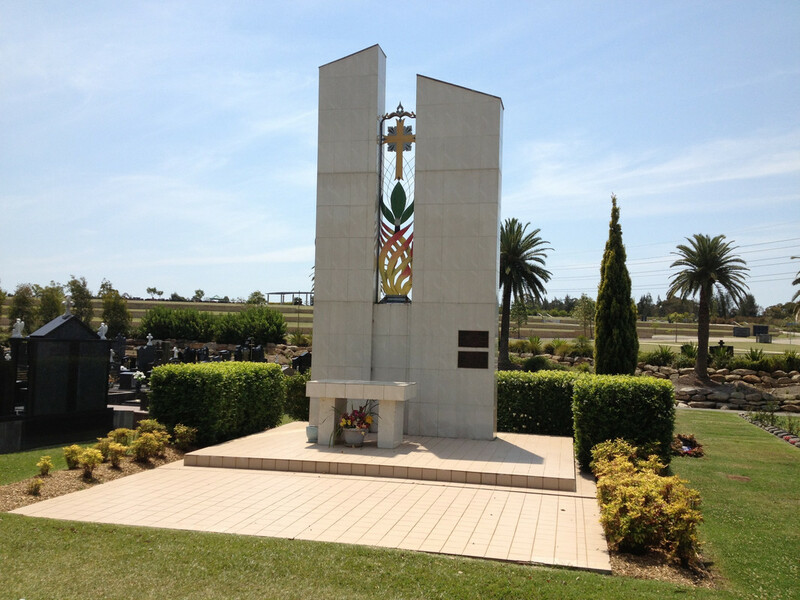 Macquarie Park Cemetery & Crematorium (MCP) is located on Delhi Rd, North Ryde. 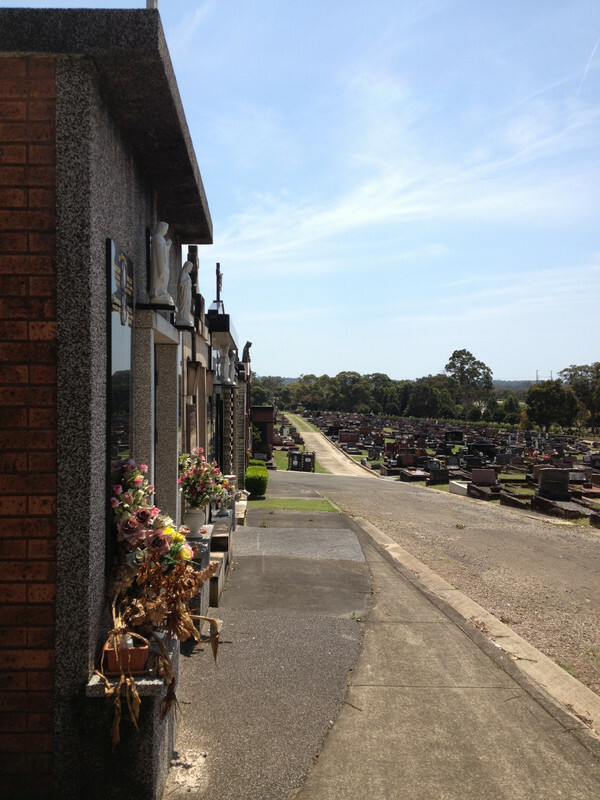 It is sometimes confused with Northern Suburbs Crematorium as the two are so close. This is not too much of an issue as they are only 5 minutes drive appart. It should be noted that MCP is not near Macquarie Station (despite the name). Instead use North Ryde station as it is much closer. 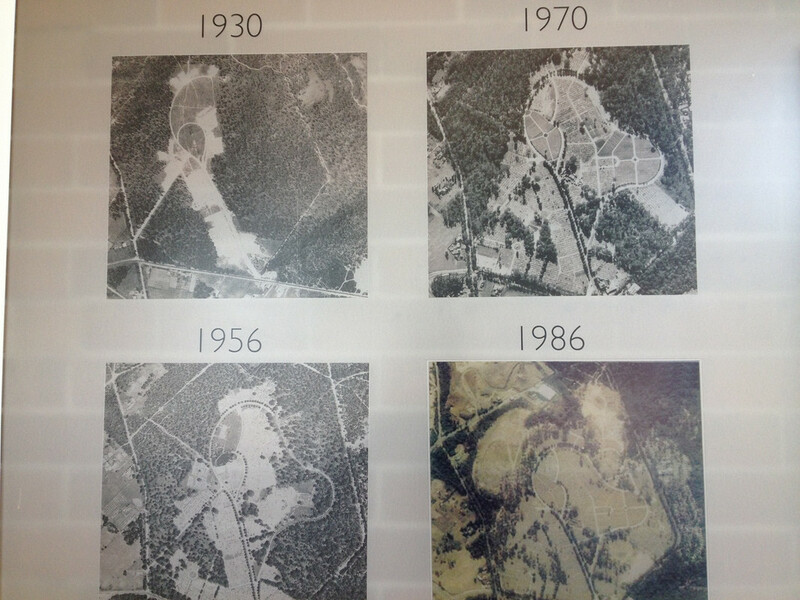 More information on how to get to MCP -- including a map of the cemetery grounds. MCP is arguably the easiest place to visit. 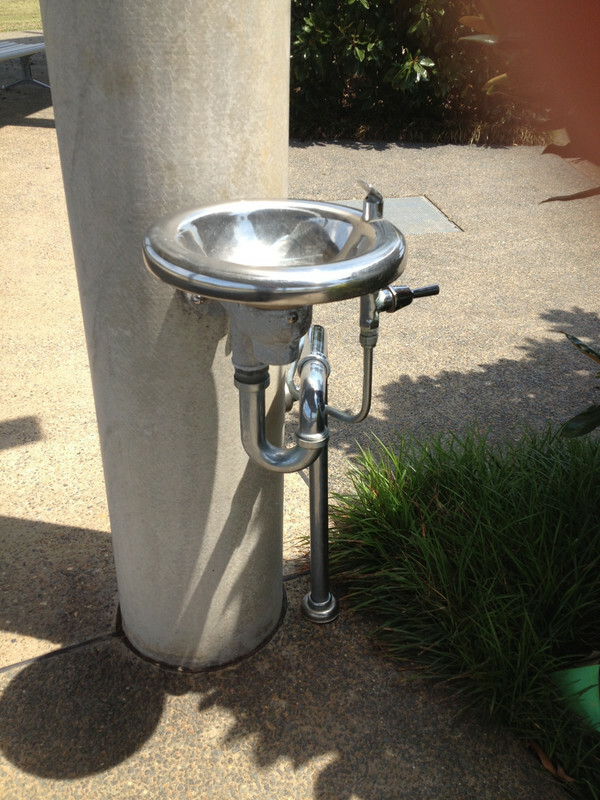 There are amenities (like toilets and bubbelers) everywhere, parkins is decent, it is easy to navigate and so on. Really, there is little to be concerned about when visiting MCP. The place has actually been designed to be visitor friendly. I do recommend driving about MCP. You can walk, and it well connected to public transport. However there are considerable distances between things and there is always easy parking within the grounds. The staff here are fairly helpful and do offer assistance at no cost. Oddly enough there is a comment on the MCP google page which criticises the staff. But I (and everyone I have talked with) have always had very good experiences with the staff here. The staff have always been well informed and helpful. They do things like run a courtesy vehicle (which is a fancy golf cart with extra seats) for anyone who wants it. At no cost, although the wait can be decent if the driver is busy. There are lots of bubbelers. Instead of a guided tour as I did with the ESMP tour I will just write a few highlights and have photos. This is the best place to start a tour of MCP. 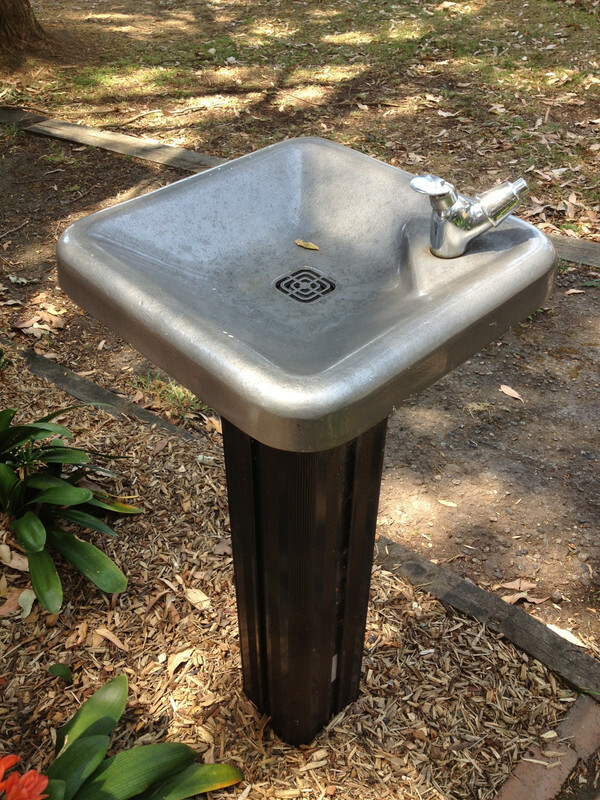 It is right next to the office, so there is parking, a cafe and there are helpful staff if needed. 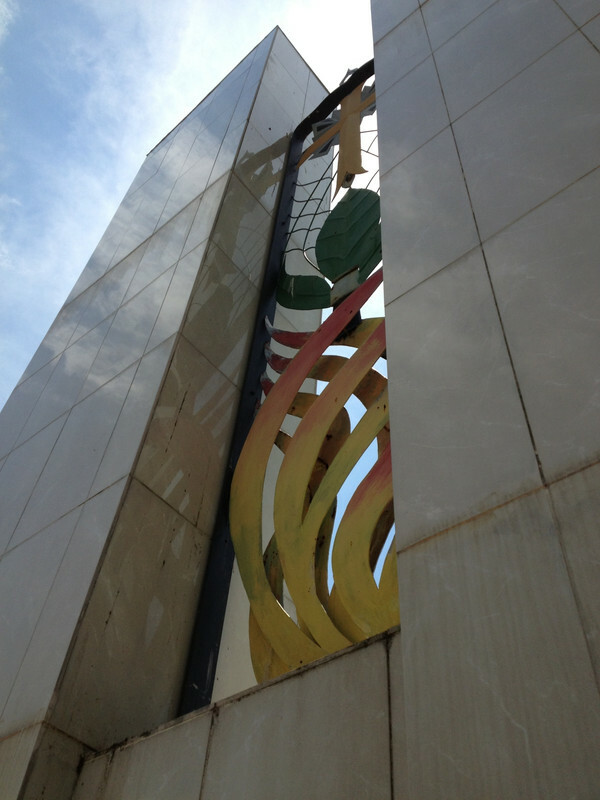 Plus this is on the main way in and out of MCP and an obvious landmark so it is easy to find and meet people here. An easy way to find this place is to simply follow the green line on the road from the main gate. View of the office car park. 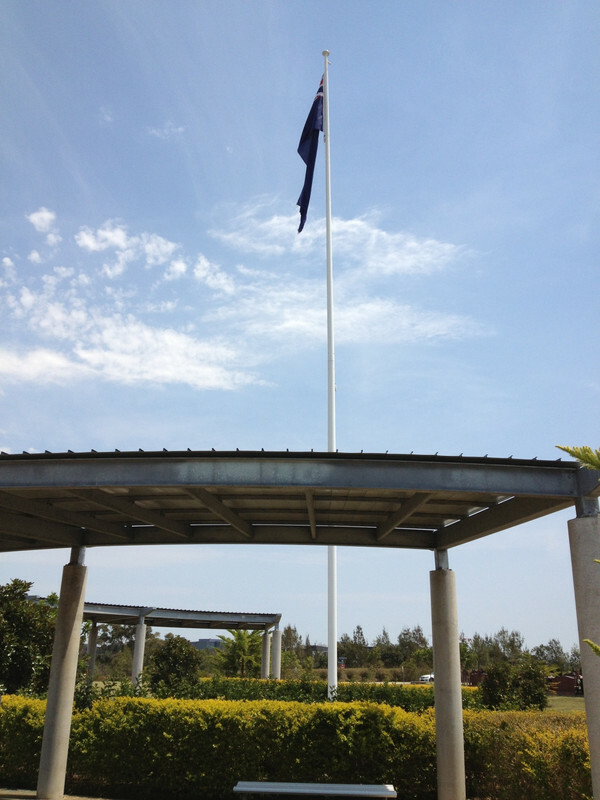 The crematorium is worth looking at, it is nice and a good example of modernisation done right. The road through the chapels is for authorised cars only, but there is always parking nearby at the large circle car park. Naturally the chapels tend to be locked when not in use, and technically you are not allowed inside without a MCP staff member or funeral director unless authorised. But there are large glass windows along the left side, so you can easily see inside if you really want. Main entry to the chapels. To the left of each chapel is a nice sheltered garden area, with a gazebo and seating. It is a nice spot to relax. Ascension Hill is a new area only recently opened. 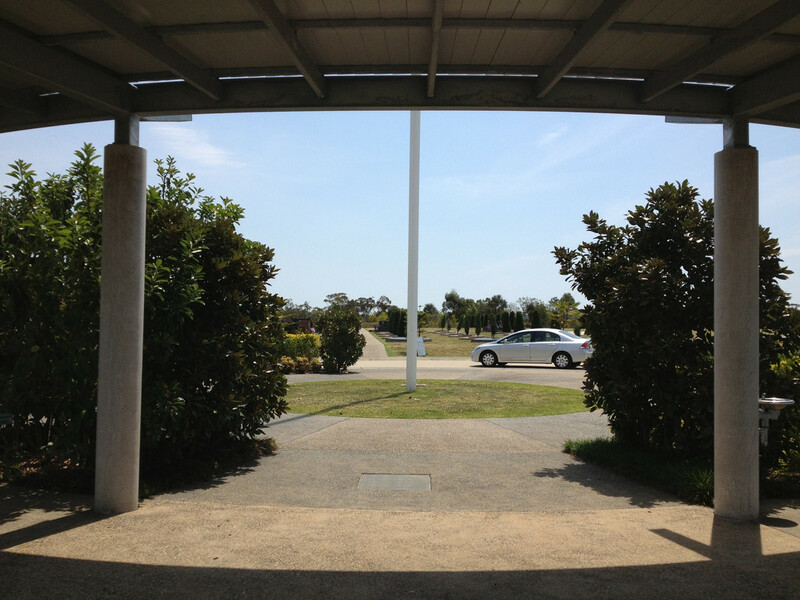 This is a wonderful place for a picnic, large open areas, bubbelers, toilets and parking all close together. There are also benches deliberately designed to encourage people as well. The only down side is the shelter is limited, there is a good covered area, but not much protection from wind. On a sunny day however this is a perfect spot to stop for a bite. Ascension Hill in the distance. 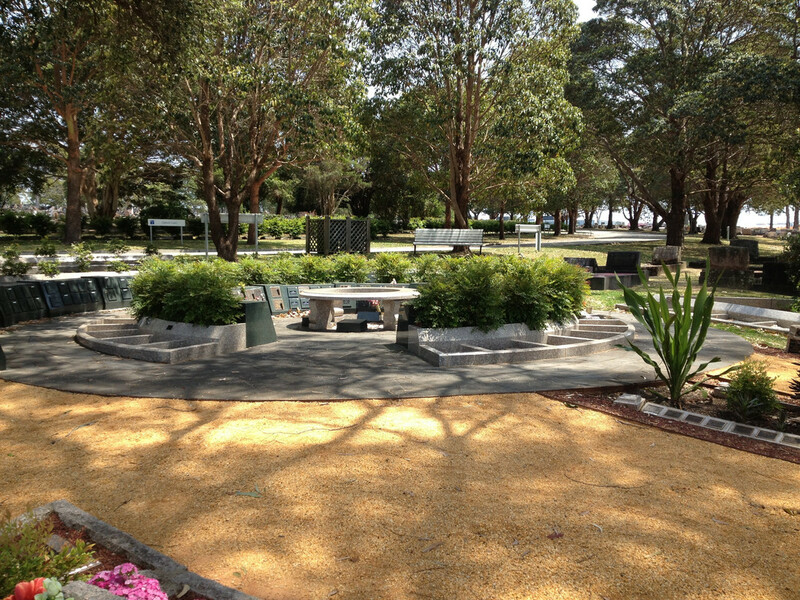 Plenty of benches to sit and relax on. Not near any graves or plaques. New tolets near Ascension Hill. 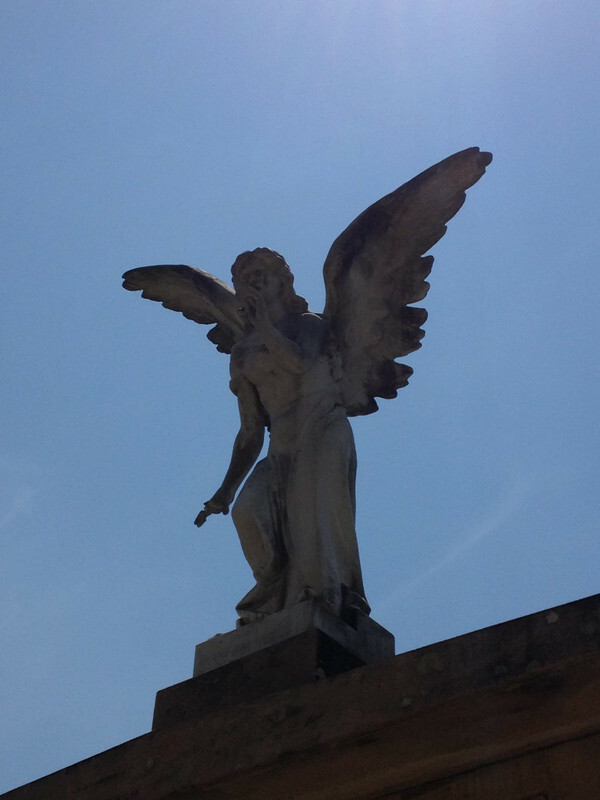 There is a strong Christian theme to Ascension Hill. 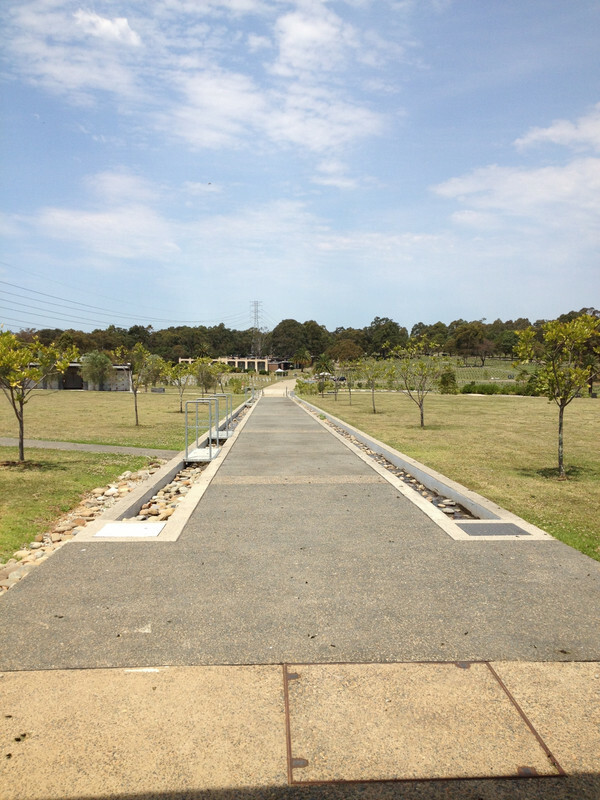 For example a pathway has statues displaying each station of the cross. There is also a large saint like statues to the Eastern side, as shown below. 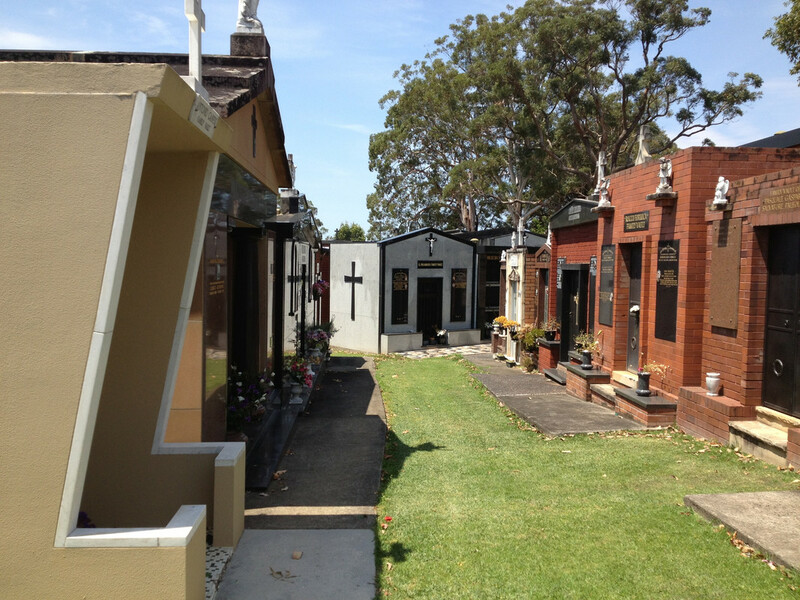 The crypts here are not particularly interesting compared with other cemeteries. But I do find something decent about them. They are worth at least a quick little look, especially the grave in the middle. Just off the road are some interesting crypts. In the middle of the crypts is this odd little grave all on its own. This is where MCP is starting to shine compared with other places. 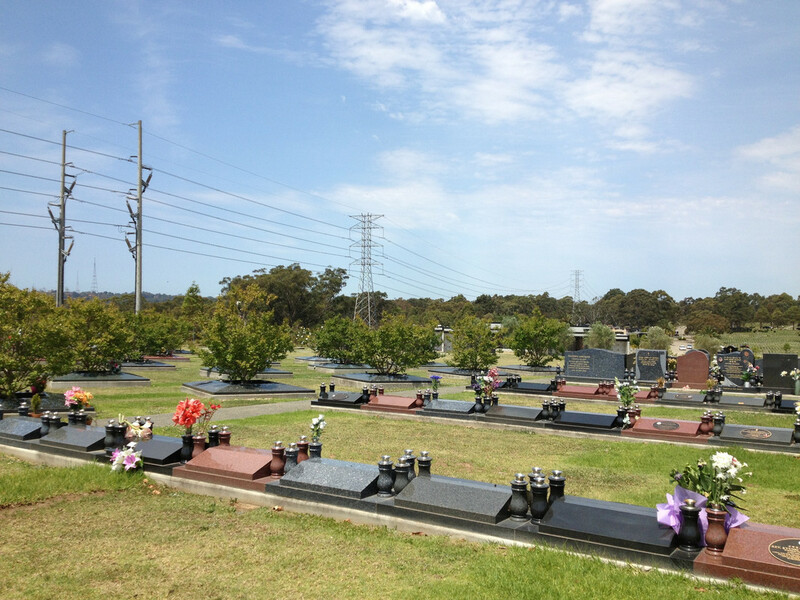 Crematoriums have found profit in memorialisation, so they are building more and better memorialisation areas. 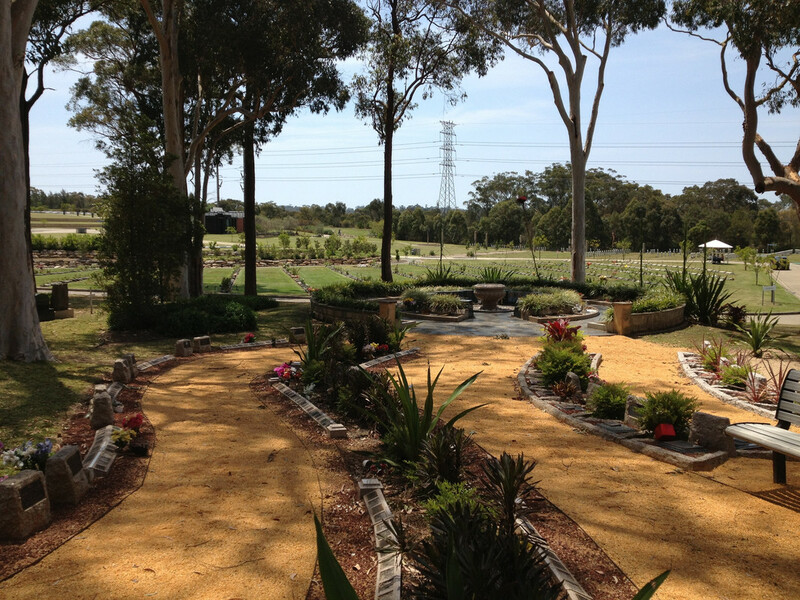 MCP has several interesting ones to chose between, from a large stone book to natural native gardens. 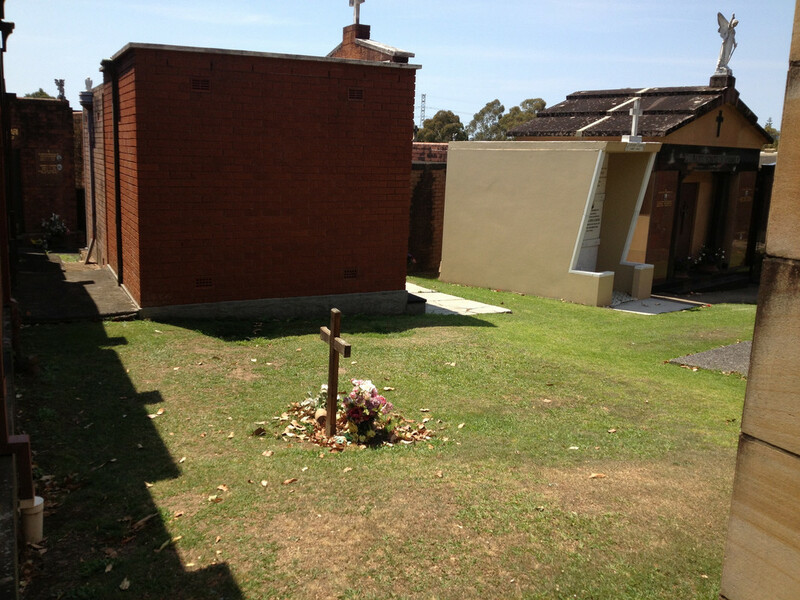 While a majority are located nearer to the crematorium there are a few scattered through the cemetery. 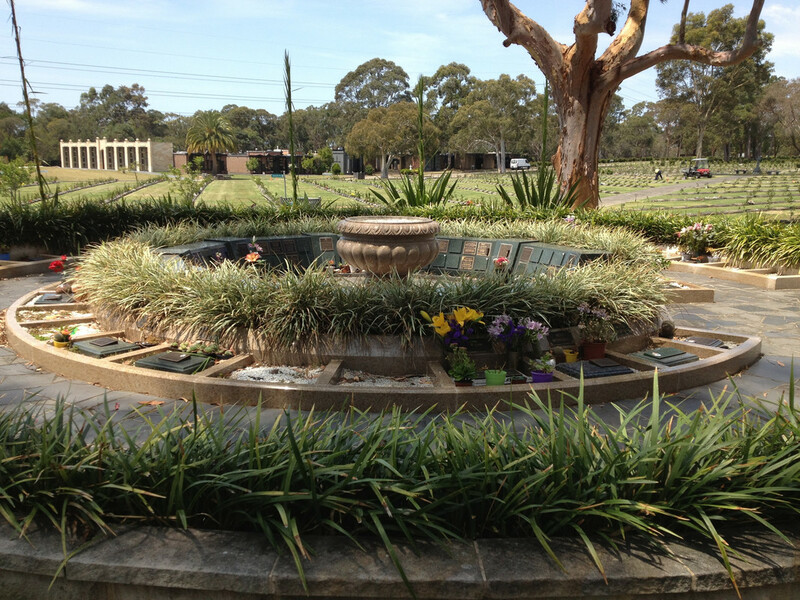 The native theme memorial garden is my favourite at MCP. There is a very nice use of colour here, and even the styles are well done. It feels like looking at a river or water body, the way it curves and pools at the ends. Nearby is a large monument to the 1915 Armenian holocaust. It is a rather nice monument, and makes for a good landmark as it is tall and visible from the distance. This is just a few highlights of a diverse place. It might not be as stunning or fascinating as other places. 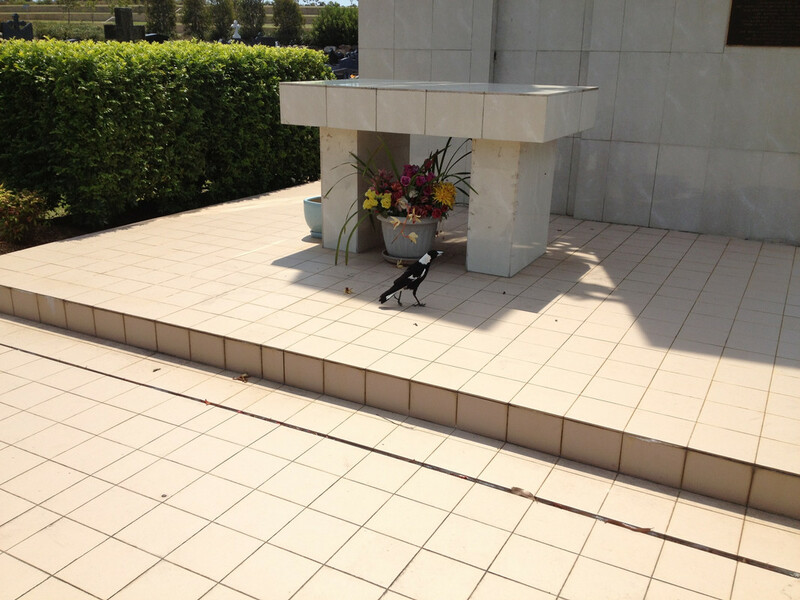 But it is certainly worth a visit and possibly the easiest cemetery or crematorium to visit casually. I highly recommend dropping by one day.